So, this is a mid-April weekend trip starting from Karuizawa 軽井沢, to Komoro Kaikoen 小諸 懐古園 and Ueda Castle 上田城 for night cherry blossom light-up, then onward to Shiraito Falls 白糸の滝 then Kusatsu Onsen 草津温泉. 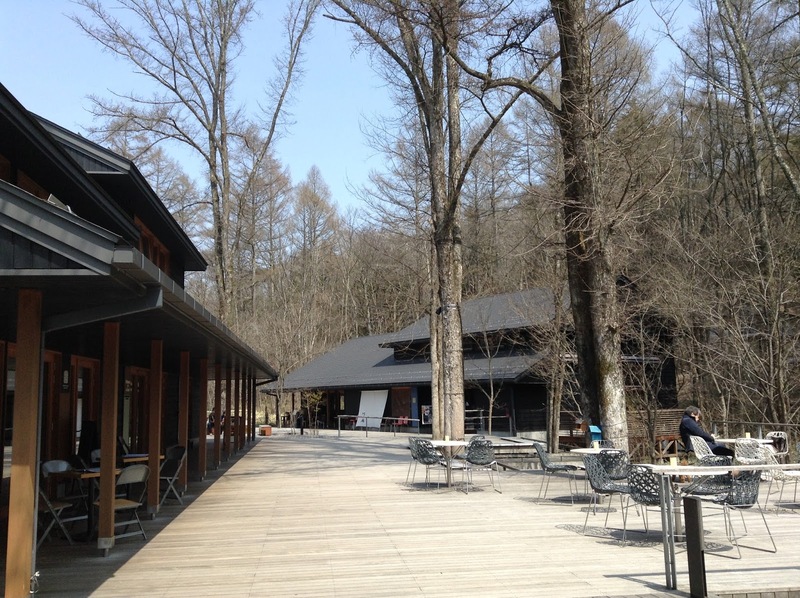 Not sure why Japanese people always rave about Karuizawa... Although it is pretty pleasant and very close to Tokyo, it's really not overly exciting. There are a few cute little churches, but mostly Asian tourists come to take photos of these, as they are just... well, churches. 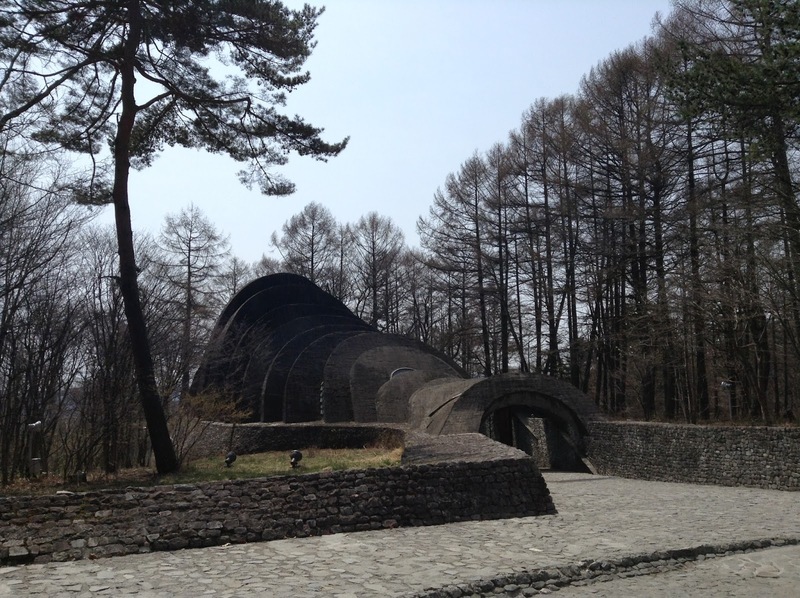 We cycled over 5 km from Karuizawa Station (rentals from ¥500/bike to ¥1500/tandem) to the Stone Church on the premises of Hotel Bleston Court, which took about 25 minutes. Pretty straight forward and mostly flat - go towards the left along the tracks then make a right up the street once you get to Naka-Karuizawa 中軽井沢 Station. 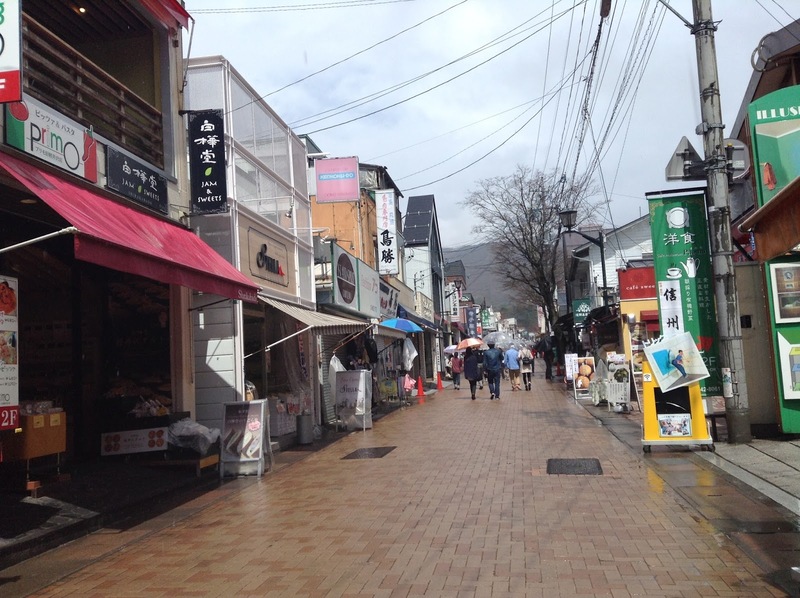 The Harunire Terrace ハルニレテラス 軽井沢星野エリア with shops and restaurants is on the right where you can park you bike. The road to the church is a bit farther up to the left just before the Eneos gas station - uphill for a few minutes. We couldn't go inside the Stone Church or the nearby Karuizawa Kogen Church due to weddings taking place but were allowed to take some pictures from the outside. The building is interesting enough but not the most amazing sight - the whole area is very nice and pleasant though. On the way back from Kusatsu, we walked the pleasant but not overly exciting Sasayaki no komichi ささやきの小径, a tree-lined path by a small river, and also stopped by Kyu-Karuizawa 旧軽井沢, which is just a street with shops similar to many other areas in Japan. I suppose the outlet mall right by Karuizawa Station (the food court there is nice) and the ski resort draw a lot of people here as well. 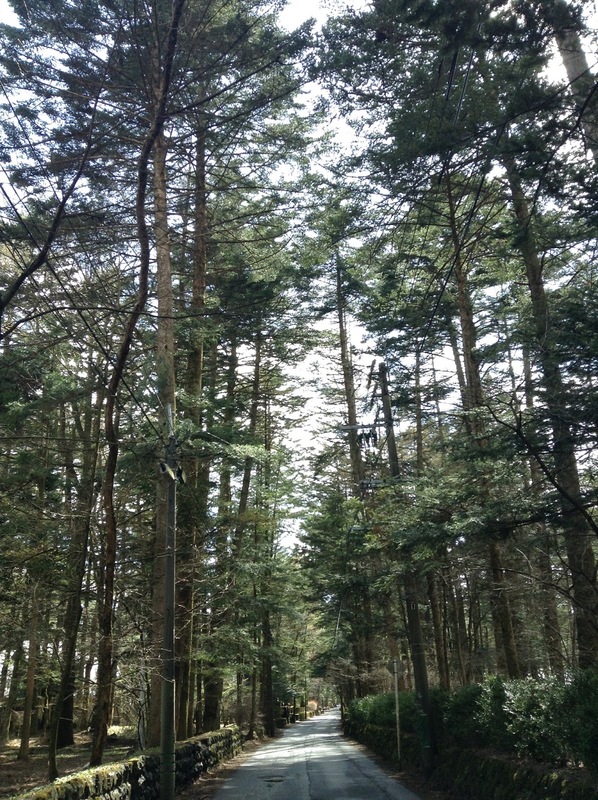 From Karuizawa, we went on to Shiraito Falls 白糸の滝. Saw big posters of Shiraito Falls 白糸の滝 at train stations around Tokyo, but not sure if it was actually worth it to make the trip here... It took a lot longer to get here than to see it. It's a 23-minute/710 yen windy bus ride from stop #2 to the right of Karuizawa Station's North Exit. 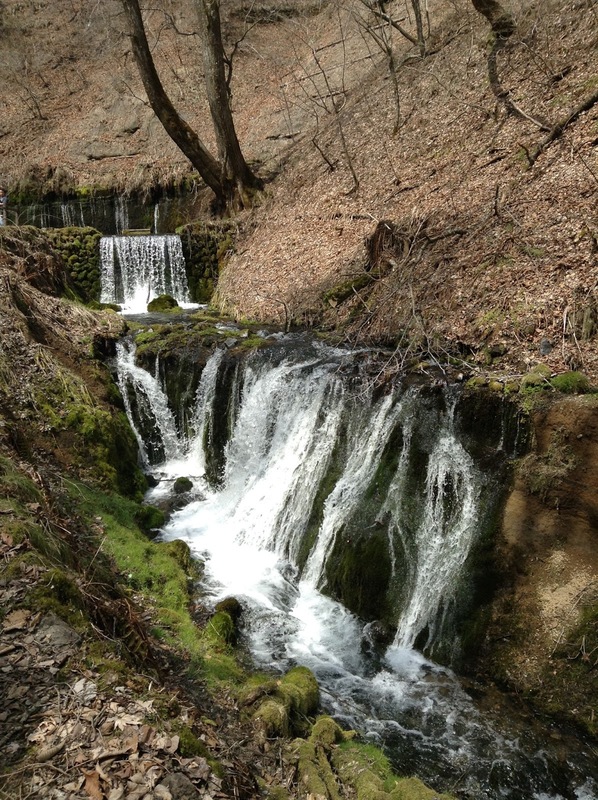 Just a 5-minute walk to the fall - nice and beautiful enough but much smaller and less impressive than I imagined. It probably wouldn't take you more than 15 minutes to enjoy the falls. We came here in April so it might be better at some other time of the year. There are trails around if you've got time to kill before your next bus. 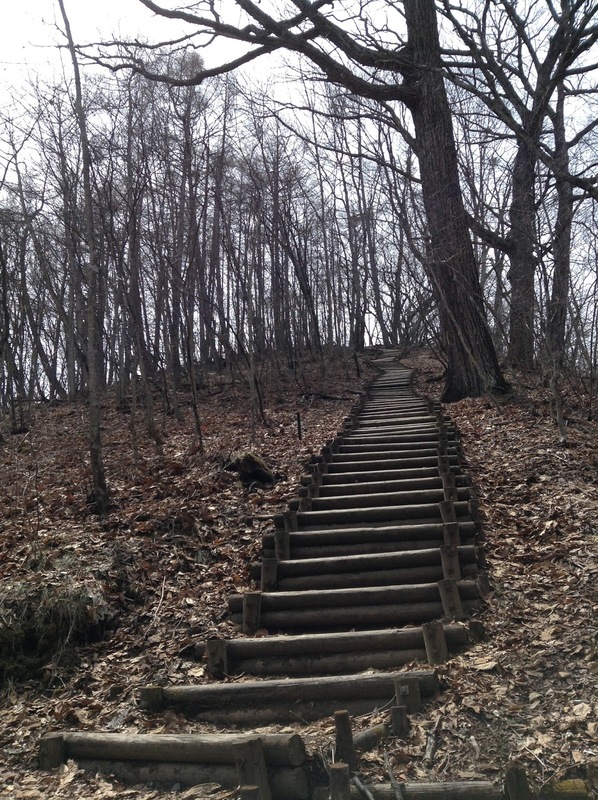 We took one up many steps up but it didn't seem overly interesting and wasn't well sign-posted so we turned back. There are also food stalls selling surprisingly nice venison buns amongst other things, a souvenir shop, and bathrooms. Saw a poster that says it will be lit up at night on the weekends in August and everyday during obon. You can take a bus from here to Kusatsu, which is what we did. © juneY, 2014. Ethereal theme. Powered by Blogger.